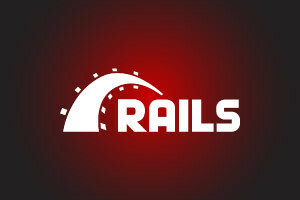 What is Ruby on Rails? Ruby on Rails is an easy-to-learn and open source web application program with a liberal license. It has rich libraries, is very easy to extend, and is remarkably object-oriented. It also has less coding with fewer bugs, which makes it a beginner web developer's best friend. This course will give you a really strong overview of Ruby on Rails and how you can use it for developing web applications. This course will first introduce you to Ruby on Rails as a programming language and its uses for developing web applications. You will learn its installation process and object orientation and be shown how to make a class. You will then learn how to reference the current object, class methods, and inheritance. The course will also teach you how to create a Ruby file and Ruby code on a demo. You will then study the Ruby on Rails syntax and learn how loops and conditional branching work. You will also learn how to create methods, along with the correct syntax for writing these procedures in Ruby on Rails. You will study the MVC architecture, which will help you organize code for the creation of robust web applications, and learn how it separates the application into three main logical components which are the model, the view, and the controller. This web application development course will teach you how Ruby on Rails is used to develop modern web applications in an effective and efficient manner. If you already have a basic understanding of web application development and have completed Alison's courses on Web Page Design Using HTML5 and CSS3, and Knowledge of Programming Concepts with Python, now is the perfect time to take this course and learn how Ruby on Rails can be useful for you! Identify the features of the Ruby programming language. Describe how to create a Ruby web app through the command line interface. Define what Object-Orientated programming is about. Explain how to create a class and an object. Explain the difference in creating a method and a class method. Identify how to create a method in Ruby. Recognise the syntax for creating conditional branching statements. Recognise the different types of loops in Ruby. Explain what inclusive and exclusive ranges are. Explain what MVC (Model View Controller) architecture is. Describe how to change your database schema using Rails.